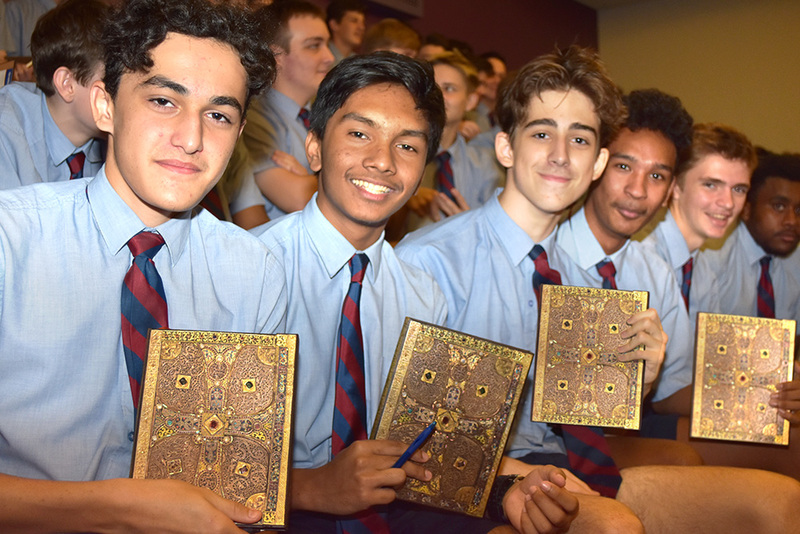 The start of the 2019 academic year has brought with it a new and exciting religious education program, ‘Catholic Faith in Action’ (CFiA), in the senior secondary years of education across all schools in the Cairns Diocese. 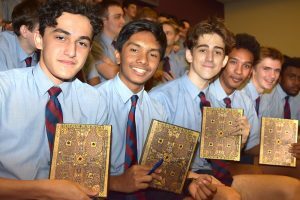 The Bishop of Cairns, Bishop James Foley, challenged senior leaders in Catholic Education to create a new program in which young people in all the secondary colleges experience faith learning within the reality of their own life. It is his hope that the program, Catholic Faith in Action, will call all young people to positive action in a way that is reflective of the Catholic social teachings and opportunities experienced in the program. Catholic Faith in Action was officially launched on February 12 at St Augustine’s College, Cairns. All Year 11 students and staff across the Diocese converged at the College for a day of input and discussion from priest and acclaimed author, lecturer and film critic, Fr Richard Leonard, SJ. The components of the new program include scripture, Catholic social teaching, Catholic worldview, other religious experiences, worldviews and Indigenous spirituality, Catholic anthropology, ethics and morality, religious identity and culture, evangelisation and faith formation, prayer and worship, social justice and action. Colleges will still offer elective courses of religious study, such as Study of Religion, Religion and Ethics and Certificate III/IV in Christian Ministry and Theology, which may contribute to a student’s QCE and ATAR. The program does not contribute to a student’s Queensland Certificate of Education (QCE) or Australian Tertiary Admission Rank (ATAR), however accountability measures are in place to ensure meaningful participation and achievement of the Year 12 Graduate Expectations. Colleges will still offer elective courses of religious study, such as Study of Religion, Religion and Ethics and Certificate III/IV in Christian Ministry and Theology, which may contribute to a student’s QCE and ATAR.